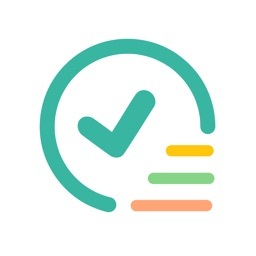 VigTask - Smart organizer for your tasks! 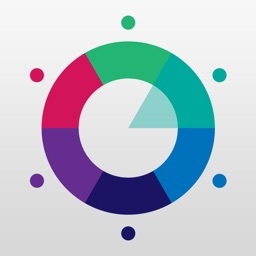 • Supports multiple categories for tasks, color code and put them in the same view. • Categories can be merged. • Group events, tasks and notes by Calendars, Dates, Manual, Contexts, Tags, Locations and Contacts. 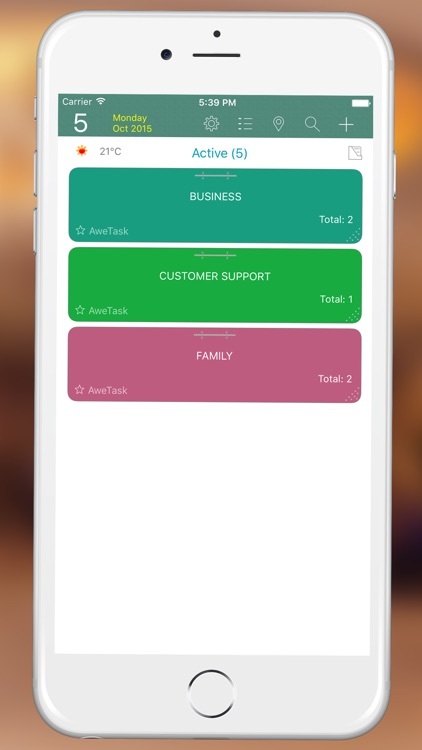 • Tasks can be created quickly with minimum of taps. • Can be created directly from categories, weather forecast, email or from main screen. • Integrated with Contacts to add invitees, or sharing. • Priority task with important levels. 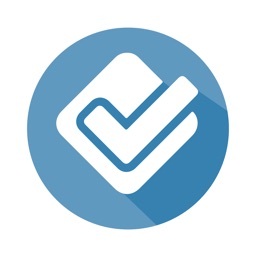 • Sorting tasks with different criteria. • Completed tasks can be exported many kinds of file format so that you can read them on PC. 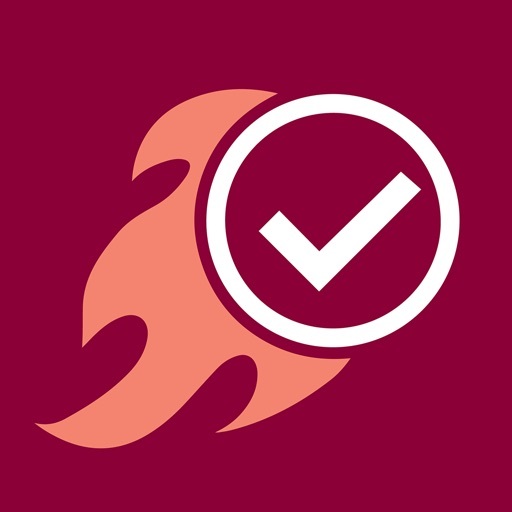 • Sub tasks can be formatted as checklists so you know what needs to be done and what you have already accomplished. • Easy to show/hide completed checks. • Tasks can be linked together to make them into flows. • Task can also link to photo, audio, video, document files from Photo library or from email. 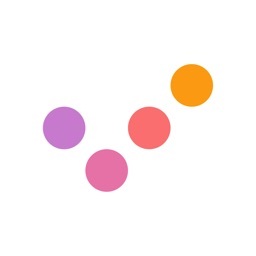 • Send/receive invitation your task or event to a list other VigTask users via email. • Data can be shared with your friends via VigCloud. 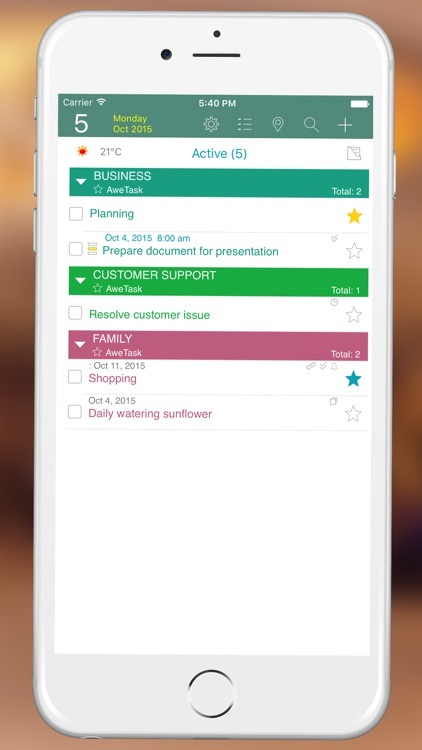 • Schedule your tasks one by one, in groups, or all at once. 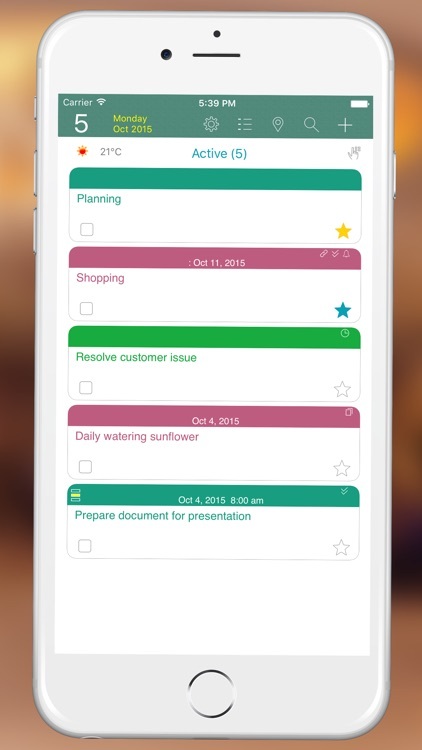 • VigTask will fit your list of tasks by booking them into your contexts' time. • Tasks can be timed, just set the timer. • Timer logs can be exported to many kinds of file format. 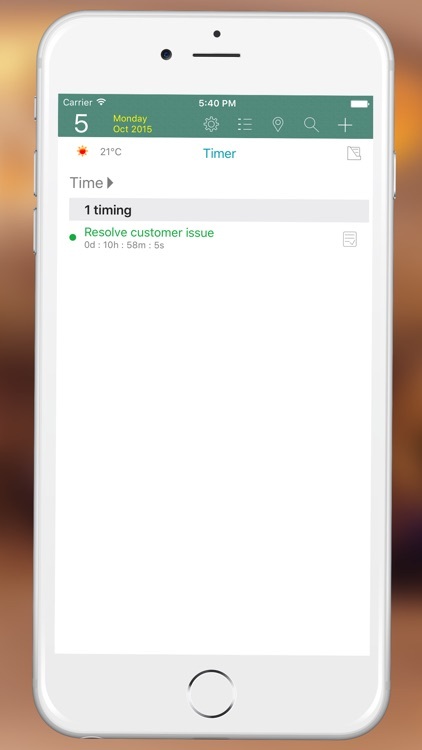 • Set multiple times for a single task. • Show your tasks, that are around your current location, on an embedded map with adjustable distance. • Task can be synced with Google tasks, built-in Reminders and Toodledo. • VigTask can sync with other VigTask (iPhone or iPad version) via iCloud/VigCloud. • Your data can be automatically (or manually) backup to Google Drive or Dropbox for future restoring. • Data can be printed anywhere. • Data can be posted to Facebook anywhere. • Data can be exported as PDF/CSV/PNG and sent via email. • Many kinds of skins. • Data can be viewed as list or folders. • Clean looking and easy to understand. • Minimal of taps to enter your data. • Easy to complete task with one click.